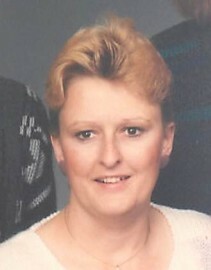 Davis, Deborah Lee, 68 of Springfield passed away February 11, 2019 in the Ohio State Medical Center. She was born in Urbana, Ohio on December 31, 1950, the daughter of Clarence and Emma Copas. Deborah graduated from North High School in 1968. She was preceded in death by her parents. Survivors include her three sons Jeff (Natalie) Deel, Chris (Debi) Deel and Nick (Danielle) Deel; sisters Patti (Mike) Carano and Susanne Copas; grandchildren Jesse, Kayli, Andrew, Emmalee and Alex; many nieces and nephews including Claire and Jason. A memorial gathering will be held Saturday from 2-4PM in the RICHARDS, RAFF & DUNBAR MEMORIAL HOME. Expressions of sympathy may be made at www.richardsraffanddunbar.com.